Wondering what color to choose? 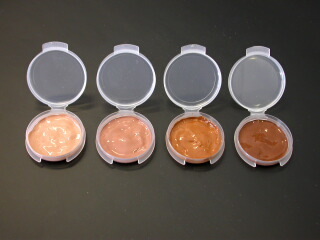 Try our "Try Me" Kit which includes all FOUR of our Tinted Jojoba Foundation colors in 1/16th oz. testers. The mystery will be solved. Contains: Jojoba Oil, the oil that most resembles the oil in skin. That’s why skin looks healthier and finish is natural. To Use: Apply sparingly to face, blend evenly with fingertips. Less is more when applying cosmetics.